Welcome to CSS – Colorado Site Services! We’re proudly Locally Owned and Operated. Serving the Roaring Fork Valley from Glenwood Springs to Aspen. Specializing in Construction Sites, Portable Toilets & Special Events! Our Staff has over 25+ years in the Construction industry, We know its important to offer Roll Off Dumpsters when you need it! 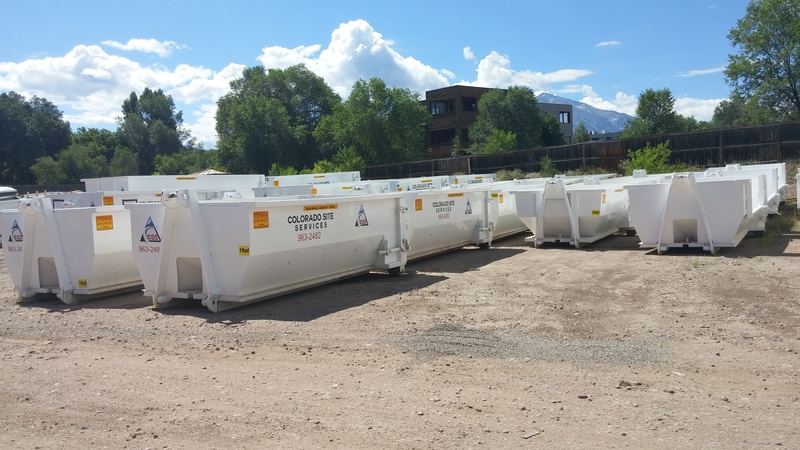 Colorado Site Services Offers a Variety of Construction Roll Offs with SAME DAY Service! Offering the Newest toilets in the Valley with 2 Ply Toilet Paper! We can handle any size crew from one end of the Roaring Fork Valley to the other. Needing a Portable Toilet for a Special Event? Look No Further! Colorado Site Services Specializes in all Special Events whether it's for a Graduation, Wedding, Family Reunion or Festival Colorado Site Services has you covered. Give us a Call today!